Other recent news from my household: Scott is writing four new Uglies books find out all about and view the incredible book trailer here. The first one is called Impostors and it is incredible. You can buy it in September of this year! So. Very. Soon. 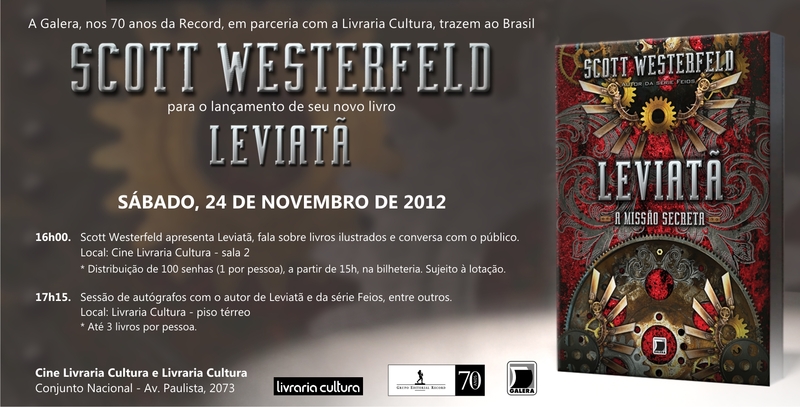 In just a few days me and the old man, Scott Westerfeld, will be in Brasil. First Sao Paolo and then Rio. And, yes, we will be doing events. 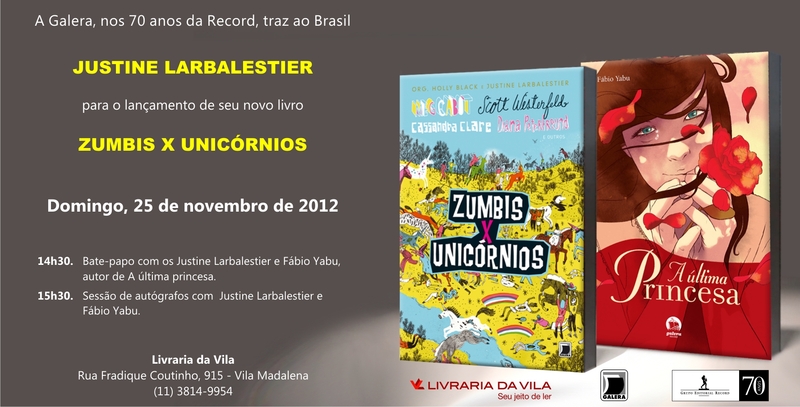 Scott’s there to promote the first volume of his Leviatã trilogy being published in Brasil and I’m there for the newly published there, Zumbis x Unicornios. We are both published by Galera Record. Neither of us has ever been to Brasil before. Our only previous visit to South America was to Buenos Aires, Argentina lo those many years ago. So, yes, we have excitement. Muito! 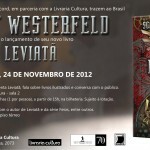 16h – Apresentação de Scott Westerfeld sobre Leviatã e bate-papo. Distribuição de 100 senhas para a palestra, distribuídas pela Livraria Cultura, 1 hora antes do evento. 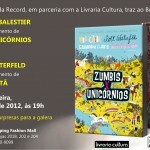 Cine Livraria Cultura, do Conjunto Nacional – Sala 2. 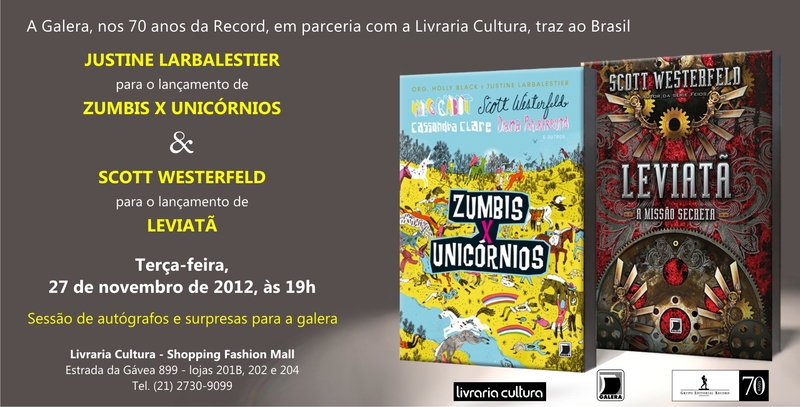 17h – Sessão de autógrafos de Scott Westerfeld. Autógrafos livres, sem distribuição de senhas, com fila. Só será permitido autografar 3 livros por pessoa. Livraria Cultura, do Conjunto Nacional – Piso térreo. Observação: A foto com o autor será feita por um fotógrafo profissional e estará disponível em um Flickr cujo endereço será divulgado no site da Galera. 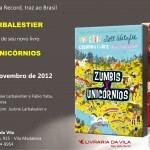 14h30 – Bate-papo com Fabio Yabu, com mediação da editora da Galera, Ana Lima, na Livraria da Vila, em São Paulo. Sessão de autógrafos na Livraria Cultura – São Conrado Fashion Mall Shopping Center. But I would sell my soul for any one of my books to be turned into a Hollywood TV show. US TV is in a golden age. How many shows are there on right now that I enjoy? Let me see: Legend of Korra, Scandal, Breaking Bad, Boardwalk Empire, Revenge, Louis, Bunheads, Justified, Nurse Jackie, Community and I’m sure there are others I’m not thinking of. Do I think they are all perfect? As diverse as I would like them to be? Not hardly. But they are a million times better than any recent Hollywood movie. Frankly, even formulaic TV like Drop Dead Diva1 is way smarter and more thoughtful and just plain better than 99% of the movies that come out of Hollywood. Here’s the thing. Many of my friends have had their books optioned and have had meetings with Hollywood movie types and their overwhelming reaction walking away from those meetings is hysterical laughter and/or despair. “So they love my book—you know, the one that reworks the little mermaid—but they’re wondering if it wouldn’t be better if they were secretly robots controlled by a master villian on a secret island hideout. They worried there wasn’t enough conflict.” Or, “So they say they love my book but they’d prefer my teen black female protagonist was white and male and thirty-five. But he could have a teen daughter who’s best friend was black.” Etc. Hollywood has their rule book of how movies should be. They will take your book and cram it into those set of rules and spew out their sausage movie product. They will raise the stakes until the fate of the world is at the movie’s centre. You know just like every other summer blockbuster. They will make almost everyone white. They will reduce complexity and make the ending unambiguously happy: the boy and the girl will kiss! Even if in the original book it was a girl and a girl. It’s no surprise that the YA adaptations that have been the most successful are the ones that are most faithful to the books they’re based on. The ones that have been turned into Ye Olde Hollywood Sausage Movie die on their arses. It amazes me that no one in Hollywood has noticed that. Yet they keep optioning hugely successful books, oops, I mean, “properties” and trying to turn them into Ye Olde Hollywood Sausage Movies. Gah! Meanwhile every year there are several wonderful new TV shows. Most of which aren’t like anything else that is on TV. So, yes, given a choice between the two you betcha I’d prefer to have a TV show. At this point I should reveal my dread shame: only one of my books has ever been optioned and that was for the huge amount of ZERO dollars. I know it can seem like all YA books ever are instantly optioned but sadly this is not true. Also of all those books that are optioned the vast majority never makes it to the screen. I have a friend, well, husband really, who has had all of his books optioned multiple times. Nope they have never made it on to the big or small screens. Might happen. One day. 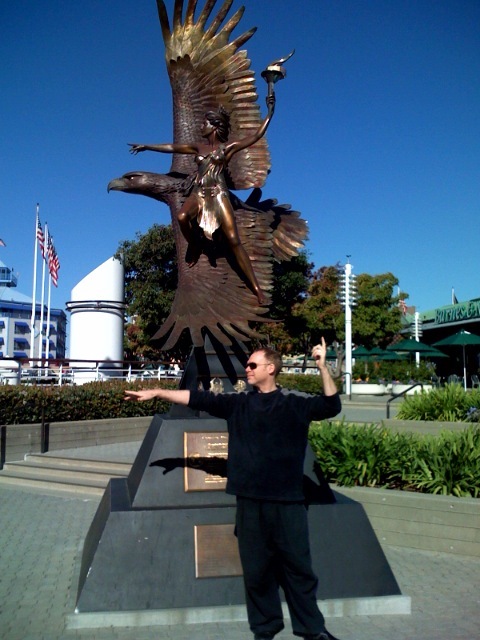 Though should Hollywood people offer me buckets of money to adapt a book of mine for the big screen I would not say no. Fabulous ballgowns don’t buy themselves, you know! Besides, as mentioned, the vast majority of optioned books never get made into movies. Especially right now when the DVD stream of revenue has completely dried up. So I could safely say yes with little fear of seeing my book desecrated on the big screen. I find it interesting that so many people are talking about this as the latest Scott Westerfeld novel without really acknowledging that this is such a departure from his more recent work. I would not be surprised if some of the audience for the Uglies and Midnighters and Peeps books (at least the teenagers) were less interested in this new series, even as Leviathan draws in an entirely new generation of readers. It’s always interesting to see an author whose work you admire move on to pastures new. Note: she’s NOT saying that teens aren’t reading Leviathan, she’s just saying that some of the teen fans of Scott’s other YA books will be less interested in the new series. But that a whole new audience will be. Scott: Thank you! So many Uglies books. Amazing! Fan: When will you be writing a new book? I can’t wait for the next one! Scott: Leviathan is my new book. Fan: Um, when will there be a new Uglies book? Now, Scott has plenty of fans who read every single book he writes. There are even a few who’ve tracked down his very first publications: kids books about Watergate and the Berlin Airlift. 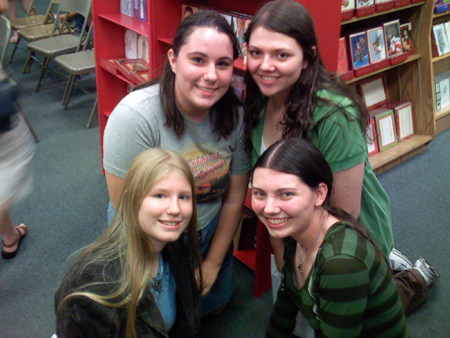 And a few more who are proud owners of Scott’s choose-your-own-adventure Powerpuff Girl books. However, there are a substantial group who are not Westerfans per se, but fans of only one of his series.1 Especially when it comes to the Uglies books. Now, this is not at all uncommon. There are plenty of Dorothy Dunnett fanatics who only read her Lymond books and have zero interest in the others, Scalzi fans who only like the Old Mans War books, McCaffrey fans who ditto the Pern books and so on. I myself am a Georgette Heyer fan who only likes her regency romances. I won’t touch her straight historicals or detective fiction with a barge pole. So I totally get it. It is, in fact, a small percentage of readers who will follow a prolific and diverse writer throughout their career and read all their books. This is true even for writers like Stephen King. Plenty of his readers read only the novels and ignore the short stories and non-fiction. I frequently describe myself as a huge Margeret Mahy and Diana Wynne Jones fan. Yet I have not read all their books. Most, but not all. There are fans and then there are fans. What’s been so interesting about Leviathan is that it seems like the same percentage of Uglies fans that didn’t pick up Midnighters or the three New York books2 are also not picking up Leviathan. The difference is that a whole bunch of folks who never really heard of Scott before are picking it up in their place. Leviathan really does seem to have brought Scott a whole new audience. Obviously there’s a big overlap between those two groups. But it’s been fascinating to watch the audience of his tour events change. Scott’s always had people coming along dressed up like Tally or Shay or other characters from his books, but this tour he had people showing up in full on steampunk garb. Fabulous. So far pretty much all the steampunkers are dressing in a generic steampunk way. I’m hoping that will change for his 2010 tour. I can’t wait to see the first person showing up dressed like Derryn or Alek. Now before any of you jump into the comments and say “I’m a bloke! I love military history and steampunk and I’ve ALWAYS read Scott’s books!” I’m not saying you don’t exist, I’m just saying that before Leviathan you were only a teeny tiny slice of Scott’s audience. Now, you’ve got lots more company. Enjoy! We sure are. Firstly, those who’ve heard me talk about writing may remember that I, too, use that high diving metaphor. Yup, stole that one from Scott. Hey, he steals heaps of my stories and metaphors too. We’re an equal opportunity story-stealing household. It’s also true that we are each other’s first readers, or in this case, listeners, and that we make many suggestions for changes to each other’s work. Many of which wind up happening. I’ve been asked if that means we collaborate on everything we write. No, only in a really broad sense could you say that. And it would be so broad it would make the word “collaborate” meaningless. One thing I find really interesting is that despite how closely we work together, and how involved we are in each other’s work, our writing voices are very different. I could not write like Scott no matter how hard I tried. And he could not write like me. I don’t have the simile bug for one.2 But I do think we understand each other’s work better than anyone else and thus are really good at suggesting ways to make it better. Admittedly my jobs a little easier than Scott’s. All I have to do to improve his current series is point out that it’s time to blow something else up. All right, that’s enough self-indulgence from me this morning, let’s take this outwards: How many of you work very closely with another writer? Do you read you work aloud to someone else? Is there anyone who reads and critiques every word you write from the very first draft? Do anyone of you never show your work to anyone? Tell me about your critiquing process! Today, as I’m sure you know, is the official release day of Scott Westerfeld‘s latest novel, Leviathan. I am completely biased about this book. As I am about Scott. He’s my husband, my best friend, my first reader, my ally, my So Many Things. We read and critique every word each other writes. His books are my books and vice versa. So, um, you can totally grain-of-salt what I’m about to say. I think this trilogy is the best YA Scott has written.1 I’ve loved it ever since he first started talking about it five or more years ago. An alternative universe of Darwinists and Clankers. Message lizards! Whale airships! An aristocrat passing as a commoner, a girl passing as a boy. These are so many of my favourite things. I love her. I guarantee you will too. And if a new book from Scott, which is way better than Uglies,2 isn’t enough for you. This one is illustrated with the most jaw dropingly fabulous art ever. Mr Keith Thompson is a genius. There you have it: Leviathan is not only a wonderful story but a gorgeous object d’art. Just wait till you see the endpapers! The stalker song contest ends at midnight today East Coast USA time. I’ll be turning comments off on the thread then. Since there has been so many fabulous entries I’ll be giving away more than one signed copy of Love is Hell and am thinking of throwing in some Liar samplers if people seem interested. You have until midnight tonight. Make sure you enter over there not here. I may be announcing another contest this Saturday. Our house is overflowing with authors’ copies. It’s ridiculous. Now back to my finish-the-novel death march. Which I can report is wonderful though cold. Great food, great gorgeousness, great people. Thank you, Luis and Maude, for showing us such a great time! We are here to do research for Scott’s next book part of which is set in the European alps. As it involves air ships we went for a ride on a Zeppelin. We also came to attend the Children’s Book Fair in Bologna, to launch Extras in the UK, to get some writing done, to catch up with some of our European-based friends such as Coe Booth, David Moles and Ben Rosenbaum who are all in Basel at the moment, and to eat lots of wondrous food (see poll to your right). 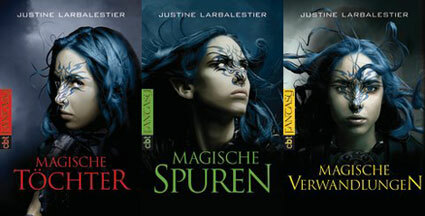 Dutch publishers hate fantasy, but they love Maureen Johnson. Stephenie Meyer is a Scott Westerfeld fan and has been going out of her way to tell her foreign publishers how much she loves his books. Thank you, Stephenie Meyer! Switzerland is INSANELY expensive for tourists. Every menu I looked at I thought there had been a series of bizarre numerical typos. Surely the soup couldn’t be twenty dollars in an ordinary cafe? Ben Rosenbaum’s kids are fabulous. Zeppelins are quiet and smooth and the best form of transport other than a bicycle or shank’s pony. You would not believe the views. Free wifi is the best thing in the universe. Why are posh hotels so allergic to it? Paris remains the most beautiful city I have ever seen.2 Though Bolzano’s pretty gorgeous too. As is Rome and Bologna. And Buenos Aires. And, um, oh nevermind. And now I must return to having fun in Paris. As you were! Cecelia Goodnow is going down! At 44, Westerfeld isn’t just another pretty face. With his cropped, sandy hair, furrowed brow and somewhat lumpy nose, he’s not “pretty” at all, but he understands the calculus of beauty and fame that wields increasing power in young-adult lives. That Ms. Goodnow better not cross my path any time soon. Grrr! If you skip that one evil and wrong paragraph it’s actually not a bad article. I spose. 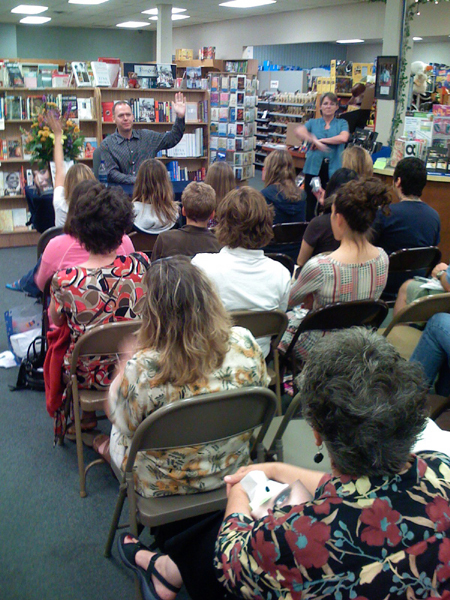 Tonight’s appearance at Books Inc (Opera Plaza) was fabulous. Lots of rabid, smart, enthusiastic Scott fans and passionate arguments about David/Zane. For the record I like Zane better than David but prefer Shay to either one of them. The most wonderful part of the evening for me was meeting London, who’s a guy from Sacramento, who drove all the way to San Francisco (which is at least two hours!) to tell me how much he loves my books. Isn’t that awesome? Also turns out he’s a Sacramento Monarchs fan and has even met their big star Yolanda Griffiths. I was deeply impressed and we got to talk women’s hoops which always makes me happy. What a wonderful day. Thanks to Jennifer and Shannon for all your hard work. You guys are deeply splendiferous! There’s lots more to say. And a tonne of your comments I want to respond to, but I’m completely knackered. Tomorrow there are more events. Also we fly to Seattle. If this is Sunday it must be Oakland. What do you mean it isn’t Sunday?! But this is Oakland, right? Where is the rewind button? I would like to start over please. Here’s hoping the actual Sunday goes much better especially as there’s a chance I might get to meet Alice Walker. I loved The Color Purple so much when I first read it that I immediately read it a second time. I can’t remember how many times I’ve read it since then. She is a genius. I love her essays every bit as much as her fiction. In-store reading & signing with Scott. I’m very happy to sign my books for you even at one of Scott’s events. I promise that I will try my best not to break any of your toes. Not my tour but Scott’s tour for his latest book Extras. It pubs on the 2nd of October and is deeply awesome. In fact, it’s my favouritest of the Uglies series. Aya is my new hero. I’ll be along at most of the public events. If you’re around come and say hello. I plan to keep blogging everyday. You know, on account of I’m addicted. I managed it every day we were away at Dragoncon so I don’t see how a little tour will stop me. Update: I’d be delighted to sign books. I may have to skip a few of the events to get some work done but I plan to be at most of them. Thing is though I’ve read a fair amount of YA sf in the last few years I haven’t liked hardly any of it. A lot of it is bog standard: plots I’ve seen before, characters I’ve seen before, worlds I’ve seen before, and nothing new done with any of it. Vastly yawn-worthy. Remember though I spent more than eight years doing nothing but read science fiction. My standards are very very high and my tolerance for less than stellar very very low. I will recommend Susan Beth Pfeffer’s Life As We Knew It. It breaks no new ground as science fiction—in fact, some of it doesn’t make any sense—but it’s gorgeously written, the protag has a wonderfully vivid voice and I could not put it down. Literally, I read it in one sitting. I highly recommend it. But that’s all I’ve got. Can any of you help? Preferably recent books. But if you recommend older titles say when you last read it. Books you thought were wonderful when you were twelve—lo, those many years ago—may not stand up now. I can’t tell you how shocked I was when I tried to re-read some of my childhood favourites and discovered that they made Flowers in the Attic look like literary genius. Over at insideadog Scott has had an attack of the lolcats and defaced several fine Australian young adult book covers. I am deeply horrified. Has he no sense of the sacred? 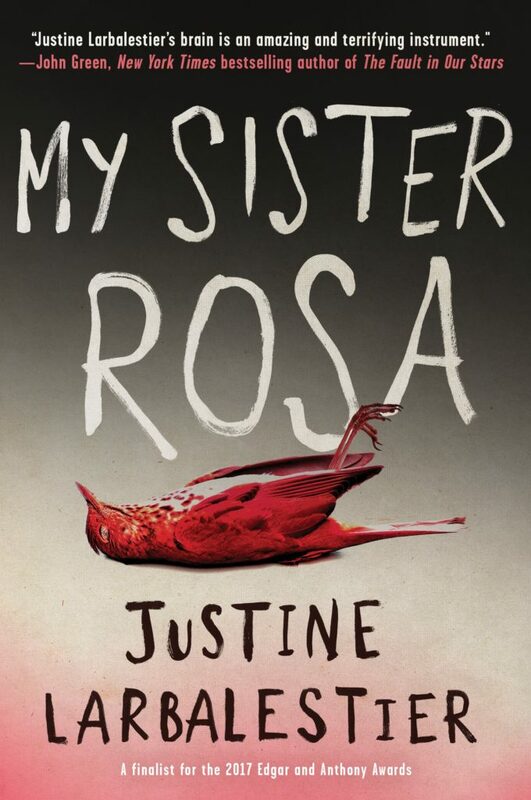 If you feel the urge to vandalise some other book covers (they don’t have to be Australian or young adult) post the links to your efforts in the comments thread over there. The best ones will receive a lovely Extras T-shirt. The contest is open until the end of the month and we’ll announce the winners in early August. I appear to have won an Andre Norton Award for the first book in the Magic or Madness trilogy. Someone pinch me! The books on the shortlist with Magic or Madness are absolutely fantastic. It means I’m in the very tiny club of Norton Award winners with the brilliant Holly Black who won the inaugural award last year for Valiant. I’ve won an award named in honour of one of the most important writers of young adult fantasy books. How cool is that? Now when I’m described as an award-winning author it’s true! This is such an honour. I’m a huge fan of genre YA and in particular of every book on this year and last year’s Norton shortlist. I’m not kidding. These are some of the best books out there: genre or not, YA or not. I can’t believe I’m on this list. And I REALLY can’t believe I won. You guys did read the other books on the list, didn’t you? I’m bummed that I can’t be here but thrilled that Eloise Flood, who discovered me, nurtured me, and made me as a YA author is accepting on my behalf. Thank you for everything, Eloise! And thank you Liesa Abrams, Andy Ball, Margaret Wright, Kristen Pettit and the whole Razorbill team. You’re all awesome. Thanks to everyone who nominated and voted for this award. Genre YA1 is in the midst of a Golden Age. The books are better than ever before. More kids and teens are reading than ever before. And these readers are the future of our genre and the future of literature. This is a truly amazing time. I’m so proud to be part of it. I bet Andre Norton would be thrilled as well to see what she has wrought. The last ten days were bloody AWESOME. I don’t have words. 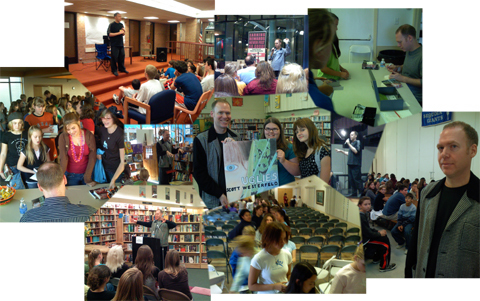 I met so many wonderful librarians, writers, students, teachers, booksellers, readers, and other peoples. All the appearances went splendidly. Texas rocks! I loves it! More details soon. I plan to blog ever day for the next ten because after that we bugger off to Paris, Singapore and then three weeks back home in Australia and blogging opportunities are probably going to be thin on the ground. I read some wonderful books that I want to tell you about. I also have some writing theories I want to share. Not to mention all the appearances I’m doing this week. There’s been a micro kerfuffle while I was away because some commenters have strayed far off topic in some of the comment threads. While this doesn’t bother me in the slightest, it led to some folks being deluged with comment notifications. I’ve now put up an open post for those who want to chat about whatever. Enjoy! If folks enjoy it, I’ll put up more open posts in the future. While I was in Texas, my good friend Cassandra Clare hit The New York Times bestseller list with her wonderful and completely unputdownable novel, City of Bones—it’s right next to Scott’s Specials! She’s now been on the list for two weeks! Woo hoo!!!! Go Cassie! Go Cassie! Go Cassie! Me, I’m going to sleep in my very own bed. Joy! Australia just thrashed England in their Super Eight match. They barely broke a sweat doing it. Ha ha! I did that on purpose! And someone noticed! Woo hoo! Also Scott just read me the almost last bit of Extras and it is good! So. Very. Good. And on Tuesday we fly to San Antonio where it is much much warmer than NYC and there are many cool librarians and young adult writers for us to hang with. Happiness! Things are tense around here. Scott has not very long to finish Extras, the extra book that sort of has something to do with the Uglies trilogy. The ninth of April is his final cannot-be-moved-no-matter-what deadline. Other deadlines have come and gone, but this one is for real. My job at the moment is to keep other stuff from getting in the way of his writing. You know like evil laundry, vile dishes and wicked wicked postage. Not to mention the scourge of phone calls, email, deliveries and visitors. I have created a moat of acid, and anyone who mangages to get past it to press the buzzer now gets a nasty little electric shock. Leeches await those hardy souls who make it all the way to our doorstep. I had them specially imported from The African Queen and they are very large indeed. I also supply him with the appropriate beverages, writing companions, massage his weary typing fingers and try not to time my coughs ill.
It’s not pretty but someone has to do it. Besides he did the same during my gruelling many-deadlines-missed finishing of Magic’s Child. So wish us both luck surviving this deadline and if neither of us blog much in the next few days you’ll know why. Ooops, must dash. The author requires a hot towel. NOTE: did you notice that I cunningly wrote this post without caps even though it’s longish? That way the old man can’t read it. Mwahahahahah!!!! How hard is Scott working? I’m afraid of what’s next . . . In this sizzling conclusion to a mordant fantasy trilogy, magic is more curse than blessing for 15-year-old Reason. . . . Alternating chapters by Reason, Jay-Tee and their friend Tom recount this crackling blend of fantastic adventure and soap-opera angst with vivid splashes of Aussie and American slang. . . . [A]dolescent readers will be left pondering their own hard choices. Not a stand-alone story, but the entire trilogy is a worthwhile purchase. Not bad, eh? 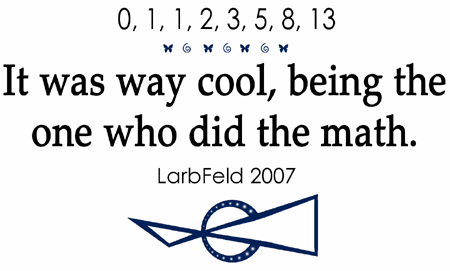 A number of pullquotes. Thank you, Kirkus! In other news scifi.com’s Scifiwire is interviewing various award shorlistees, like, um, me for the Norton Award. I hear there’ll be interviews soon with Maureen Johnson and Scott Westerfeld. I assume they’ll also talk to Susan Beth Pfeffer and Megan Whalen Turner. Hope so! 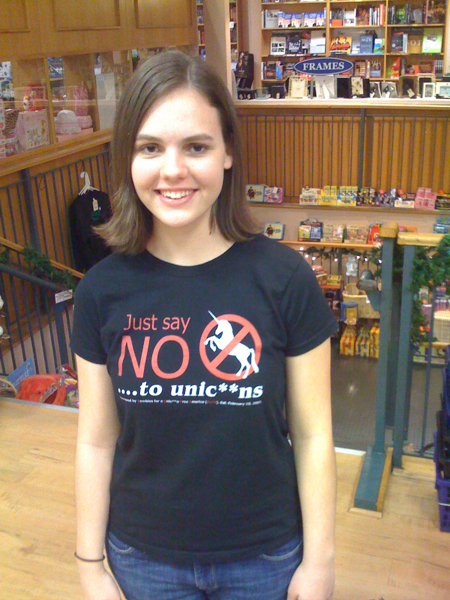 In other news Rebecca designed this T-shirt in honour of Scott and mine’s visit to Houston. Isn’t it awesome? Is that not the coolest Magic or Madness/Midnighters combination you ever saw? There are even butterflies! I love it! All the books on the list are wonderful1 (except mine obviously). I’m so honoured to be in such incredible company. Wow. Yet despite the glories of Maureen’s catholic school girls demon fighters and Scott’s reimainged vampires and magic twenty-fifth hour, if I were to vote right now2 I would vote for King of Attolia. I’ve mentioned before how much Megan Whalen Turner’s trilogy means to me. It’s stunning. Beautifully written and it pushes all my buttons (in a good way). It would be awesome if she won the Norton because it would be not just for this book, but for the whole trilogy. She’s one of my favourite living writers and deserves every honour going. Hey, I just noticed there’s three Razorbill books on that list! How bout that? Eloise Flood created one hell of a list. Next Saturday, the 20th of January at 2PM, me and Scott will be doing an appearance at the fabulous Kinokuniya bookshop. We’ll be appearing with Deb Abela and Michael Parker and talking about science fiction and whatever else grabs our fancy. If you’re around we’d love to see you. It has been brought to my attention through various means such as comments here, my email box, and this lovely loudmouth that me and Scott are on the preliminary ballot for a Norton Award. At the moment the preliminary ballot consists of Magic or Madness, Peeps, and Touching Darkness. Observant readers will note that those are books by me and Scott. Fear not! It will not be a solely Larbalestier/Westerfeld contest, the special dedicated panel for the Norton will add three extra titles from their own extensive reading, leaving a shorlist of six books for the award. Correct me if I’m wrong on any of this, SFWAns. Firstly, I’d like to point out that this is the fourth time we’ve been on a shortlist together. Last year we were both up for an Aurealis and a Ditmar. This year we’re both up for an Aurealis and now a Norton. Salient fact: so far someone else has won every time. That’s right, last year neither Scott nor I won the Aurealis and Ditmars we were up for. Will that trend continue? But to answer the question: It feels very cool. I love that enough people are liking our books that we wind up on shortlists and best of the year lists. It’s beyond brilliant. To be honest neither of us are particularly fussed about winning awards. This is not because we’re particularly zen or humble, but because we’ve both judged awards and voted on them and we know exactly how it works. Brilliant books win; brilliant books don’t even make it onto the short list. In judged awards it’s frequently the book everyone liked second or third best that wins, because the judges just can’t agree. Awards are a lottery. Always were, always will be. What’s really cool as hell is to get on the ballot and be there together. An excellent piece from Daily Kos on the influence foreignors have always had on American politics. To which I can only say, “Well, der, people.” Show me one country in the world that isn’t influenced by other countries. For that matter show me one person who isn’t influenced by other people. Even hermits are influenced by others. This is my favourite review of Scott‘s latest book, The Last Days. I think she misses Cal. What do you reckon? I gotta confess I prefer Last Days to Peeps, but I hear her pain. For the record, we wanted the book to be subtitled “Companion to Peeps” but we was overruled. Simonne Howell, author of the fabulous Notes from the Teenage Underground (which Scott just finished and thoroughly enjoyed), is collecting haikus on her myspace account. I contributed a cricket one. Surely she needs more than just one cricket haiku . . .
What exciting things have you lot learned today? I’d like to thank Ganda Suthivarakom for the excellent editing job that leaves out all the truly embarassing bits. Phew! Someone was telling me recently about a writer who gets astrological charts done for all their characters and picks their names on the basis of that. So they know what year and date their character is born but not what their name is? Huh. Whatever works, I guess. Me, I just grab the first one that comes to mind. So far this method has worked fine. Reason got her name instantly. It just made sense. Jay-Tee I picked cause it sounded American. I mean who other than Americans call people by their initials? And Tom, well, c’mon, it’s not exactly the world’s most unusual name, is it? I reckon people spend way too much time angsting about names (check out Scott’s latest book for lots of bandname angst). Nine times out of ten whatever name you randomly pick will end up working. This applies to babies, boats and pets as well as characters. How many times have you thought a band name sounded really stupid? But the more you hear it, the more you get used to it, and the more natural it sounds. Scott always gives the example of the Beatles, which is a pretty dumb name when you think about it. Beetles spelt Beat-les as in musical beat. That’s so cutesie it winds up being completely lame. Or it would except that we’ve all heard it so many times the lameness is now invisible. So it is with characters’ names. The only important rule (which is frequently ignored) is that if you’re writing a book with lots of names that aren’t going to be familiar to your readers make sure they begin with different letters. Cause you just know that readers are going to think of them as J unpronouncable, K likewise, L even worse and X are-you-insane. If they all begin with J—Jaquanatsuaa, Jatarganta, Juypghert and Jioplikaz, for example—your readers are not only going to be confused, they’ll want to kill you. How do youse lot pick names for your characters? Or are you lot all as lazy as I am? I get asked a lot about how Scott manages to write as fast as he does. I guess people are too frightened to ask him. Or something. I wonder about how fast Scott writes, too. But then I look at how many books Meg Cabot has out every year (by my count around five) and I wonder how come he writes so slow. He started the first Midnighters book in early 2002. He’s since written books 2 & 3 of the Midnighters trilogy, So Yesterday, the three Uglies books, Peeps, The Last Days (which is my fave) and is well on his way with the first Leviathan book. That’s nine plus books in four and a bit years. Not quite as fast as the publishing schedule makes it look, but still plenty fast. But he’s also been sick more often than me. Lots more and lots worse (shingles, anyone?). Writing that fast and that diligently—Scott, like Meg Cabot, writes really good books—isn’t sustainable. It broke his brain and his body. He’s on the mend now, and has a much less gruelling schedule ahead: only one book a year. Writing fast, it turns out, can be amazing for your career. Having all those books out so fast is what made Scott a name in Young Adult lit land so quickly. If you have a bunch of books out every year your name is less likely to disappear off the face of the earth. It’s why I plan to up my own productivity to two novels a year. You know, if I can actually write that fast and still produce words that hang together okay, which, obviously, remains to be seen. Not many people can. Writing fast isn’t a necessary ingredient for being a good writer. But it can help if you want to make a living as a writer. A friend has a new book coming out soon and is dealing with being reviewed for the first time. She’s swinging from high to low and back again and trying to make sense of the contradictory takes on her words. Been there! So here’s my advice (which I wish I’d taken myself): ignore it. I’ve had people tell me (repeatedly) that the MorM books are way too short, way too long, overwritten, underwritten, pretentious, condescending, annoyingly confusing, deliciously ambigious, beautifully written, badly written. That the Australian slang is confusing and distracting, that the slang is the best thing about the books. That Magic Lessons is crap compared to Magic or Madness, that Magic Lessons is heaps better than MorM. That the Reason/Jay-Tee/Tom bits are boring/the best part of the books. That Reason Cansino is way too sophisticated/too young for a fifteen year old. What’s a gal sposed to do in the face of all of that? Me, I’m slowly learning to only pay attention to the stuff that touches on what I was already concerned about. For example, the complaints from readers who bought Magic or Madness not knowing it was the first book of a trilogy and were then pissed when it didn’t resolve satisfactorily for them. Been there and experienced that. Yup, the signal that MorM was first of a trilogy was very discretely hidden on the hardcover. It bugged the hell out of me. I wanted a big ole number one on the spine and “first book of the Magic or Madness Trilogy” emblazoned on the front cover. I was overruled by my publishers. Apparently when the first book of a trilogy by an unknown comes out with its triloginess prominently proclaimed it doesn’t sell as well as if you hide it. Selling stuff, apparently, is all about tricking people. I’m determined that if I ever write another trilogy—which I’ve taken a vow not to do (hey, Libba, let’s keep the faith)—it will clearly be marked as such. But, who knows, I’ll probably get overruled by my publishers again. Sigh. The writer can only control (most of the time) the words between the covers. We rarely control the way the book looks, how it’s marketed (or not), and we have absolutely no control over what people think of it. Scott gets fan mail all the time saying how wonderful X book is, but that they hated the bit where their favourite character had something bad happen to them. Could he write another book where bad stuff doesn’t happen? Um, yes, he could, but reading it would bore you into a coma. Praise is nice, criticism can be helpful, but sometimes the best thing you can do is stop your ears and keep on writing. Someone hand me the ear plugs! Today Scott and me went into the Penguin offices to meet some of the people who sell, market and publicise our books. We ate yummy cheese, humus, tabouli, dolmades, grapes and strawberries, drank good (Aussie) wine and talked publishing. We writers mostly work on our lonesome but we’re actually part of a team. A really big team. I have a lot of contact with my editors, Eloise Flood and Liesa Abrams, and some with the rest of the Razorbill team (especially Andy Ball and Margaret Wright), but much less with the other people who work on my books. Frankly, I’m not always sure what the folks in the other departments do. So it’s fabulous to meet the people from online marketing and discover that they’re starting to work on author podcasts. Would the two of us be interested in doing one? Would we be interested? Is the Australian men’s cricket team going to destroy England in the next Ashes? Yes, they are, and yes we’d love to do a podcast. I was fascinated to hear just how much work goes into wrangling authors for big events like BEA (Book Expo America) and the big ALA (American Library Association) conferences. Wow, are we authors a pain! Collectively, I mean. Imagine trying to get many different authors to various different places in the space of eight or so hours. Not fun, eh? And even before we get to an event they’ve logged hours and hours making sure we’re available, organising us to get there, and setting up our schedules. A publicist’s (for BEA) and marketer’s (for ALA) work is never done. We learned that at the last ALA meeeting they had put a two minute limit on kids giving testimonials about three particular authors cause they were so enthusiastic they’d have gone on for hours otherwise. One was Stephanie Meyer (author of Twilight and New Moon), the other one was someone really famous I’m ashamed to say I’ve forgotten, and the third one was—wait for it—Scott!! How cool is that? It was also lovely to have people from non-editorial departments asking when they’ll get to see the third Magic or Madness book because they’d enjoyed the first two so much they were dying to read the final book in the trilogy. They work on many, many, many books every year, reading all them is impossible, so it’s a real compliment when they make an effort to read yours. 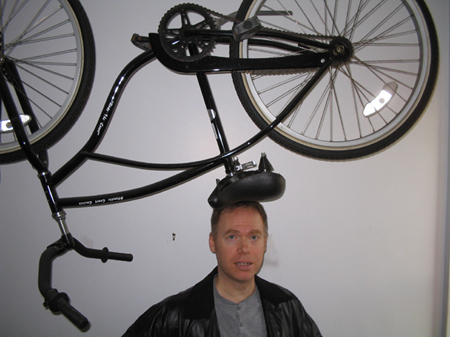 Scott just hit his tenth anniversary as a freelance writer. Congratulations, Mr Hardest-Working-Writer-I-Know. and it took him eight years—that’s right—eight years (!) before he was earning enough from writing under his own name to support himself. Eight years is a loooong time and yet most writers don’t ever earn enough to (comfortably) quit their day job. Scott has done very good indeed. I’m so proud. Even while I’m away at a convention good news arrives: Magic or Madness and Magic Lessons just sold to Mondadori, the biggest publisher in Italy. Woo hoo! I’m especially excited because I met the editor, Fiammetta Giorgi, in Bologna and she was not only elegant, cool and fun, but also had great taste. We talked for ages about our favourite young adult writers such as Holly Black and Diana Wynne Jones. And now I’m going to be part of her Dark Magic series. Yay! Mondadori also publishes Scott, so we’re now published by the same company in the US of A (Razorbill/Penguin), Australia (Penguin), France (Editions du Panama), Brazil (Editora Record) and now Italy. How cool is that? Magic or Madness has now sold in eight different countries and Magic Lessons in six. I am now the wife of a New York Times bestselling author! Oh my Elvis! Specials is number six and we here in the Larbalestier/Westerfeld household are over the moon. The congrats are flooding in from all over and champagne will be drunk in large quantities tonight. Woo hoo! But what does this actually mean? Don’t worry you’re not alone asking. Several of my non-publishing friends—yes, I do have them—have also asked why it’s such a big deal. The New York Times bestsellers list is one of the oldest lists going and definitely the most prestigious. It doesn’t matter that there’s a whiff of dodginess about how it’s compiled. As Scott points out, there ain’t a bestseller list in the world that reflects the true number of books sales out there in the real world. 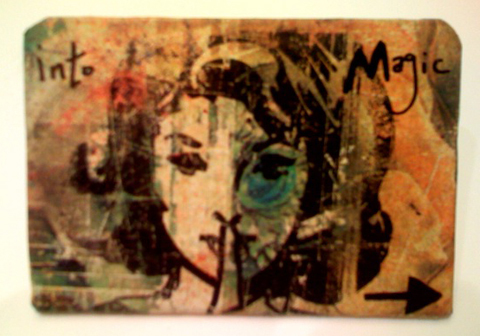 The real world is too messy, too big, and too unquantifiable. Bless the real world! In the meantime what we have is the New York Times list. Whatever the reality of actual numbers, being on that list mean a book is selling more than somewhat and it is doing that in the shops that report to the New York Times. Becoming a New York Times bestselling author means having those words appear on the front cover of all that writer’s books for the rest of their life. From now on it won’t be Scott Westerfeld making appearances—it’ll be New York Times bestselling author Scott Westerfeld visiting your library or school. In most publishing houses the amount of money spent promoting the New York Times bestselling author’s books will escalate. Some writers have contracts with a clause giving them a bonus should their book make the NYT list. Many are convinced it also increases the chances of actually being reviewed in the New York Times. It also means that the agent of the NYT bestselling author (NYTBA) gets to ask for more money for their next book and a better contract with less joint accounting and more rights retained. I believe they can also insist that gold petals descend from the ceiling whenever the NYTBA visits their publisher’s offices and that they only take the NYTBA (+ spouse!) to the very best restaurants and ply them with Krug champagne. But way better than all of that is knowing that lots and lots of people are reading and loving Scott’s books. We’ve known that for awhile from the quantity of fanmail he gets and all the effusive comments on his blog. Listing in the Times is a big ole confirmation of that love. I know exactly how all those Scott Westerfeld fans feel because I’m one, too. Go Specials! Scott has just announced some unbelievably wonderful news over on his blog. Colour me, bouncing and screaming with joy!!!!!! P. S. This is not, in fact, the big news we’ve been waiting on. This is random unexpected big news. Ain’t life grouse?